For this test, several women with A to D cup sizes are constantly testing sports bras and providing feedback. 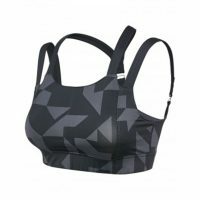 The bras are worn in both warm and cold weather conditions with workouts that include easy paced runs, sustained hard efforts, interval classes, long runs, races and sessions at the gym. 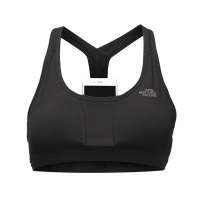 Sports bras are an essential piece of gear for women, and the technology has really improved in the past few decades. Athletic bras were originally one-size-fits-all in most respects, which had an obvious negative impact on women who didn’t feel supported by their bra during high-impact activities. This deterrent may have even been enough for some women to stop running or working out all together while the most determined athletes put on two or even three sports bras at one time to create enough chest compression while in motion. 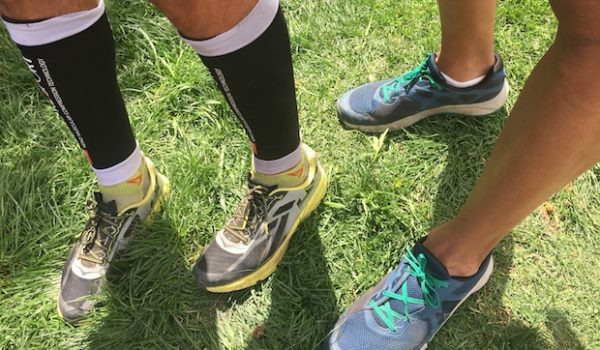 It’s pretty easy to tell if a bra is going to be supportive, but you don’t always know how it’s going to perform during a long run, for example. Then, beyond support, it’s nice for the bra to have a little style, and it’s even better if function and aesthetic can create an ideal combination. Each person’s body is different, and one woman may love one sports bra that doesn’t work for another women, so it can be a lot of personal trial and error to find the right fit. For this test, we took it all into account, from comfort and support to fit and style, so you can decide for yourself which bra you want to take for a test run. 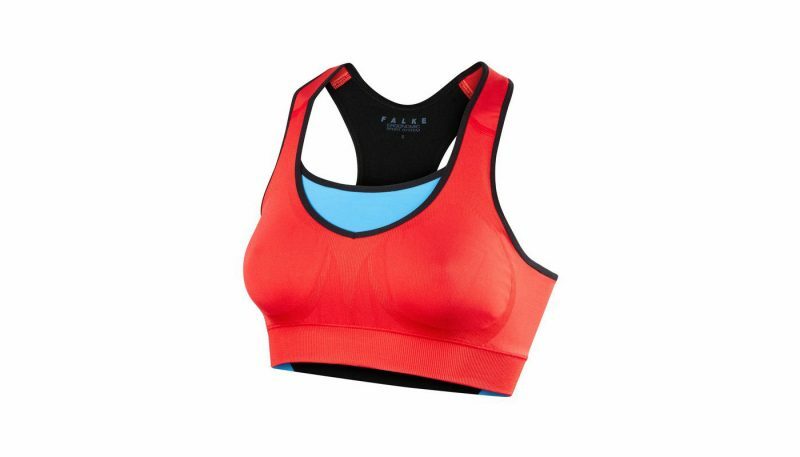 The Eddie Bauer Movement Bra was a favorite among A/B cup runners. Testers agreed that combination of comfort, fit, mobility, and support was above the rest of the bras tested. The Movement bra stood out in comfort. “This is the first bra I grab from my drawer, every time,” said one tester. 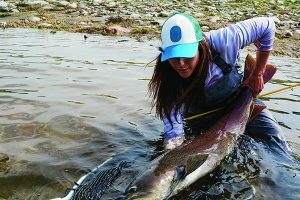 “It’s just so comfortable.” The bra is a top seller for Eddie Bauer and sells out for time to time, but it is only a matter of time before it is back in stock. Designed to “flatter not flatten” the Y Back Handful Bra features a luxuriously soft material and the brand’s signature Lights Out pads that fully lift and increase your bust size by at least one cup. Of all the bras in the test, the Handful Y Back Handful Bra is by far the most comfortable. The soft material and wide stripes make it feel good to put on. Although the bra features more coverage, it is not as compressive or supportive as other bras in this test group. 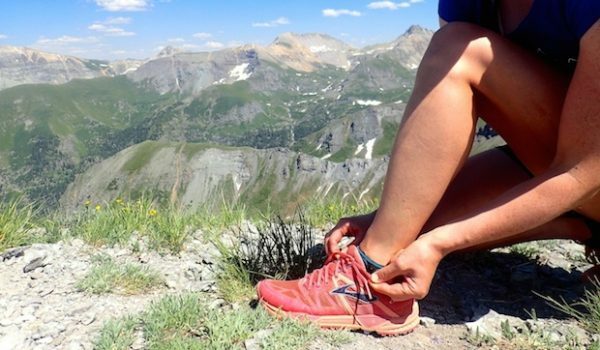 The bra is better for low impact sports or the gym than for running. Combining comfort and compression isn’t an easy feat, and Falke has nailed with the the Control Maximum Support Top. The smooth and quick-dry fabric is nice next-to-skin, paired with seamless construction to eliminate chafing. 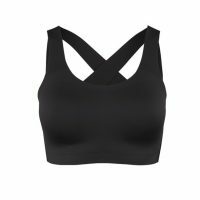 This bra hugs in the chest in all the right places, while still providing room to move in a broad range of exercise including high impact activity. It’s not often that a bra can be used by C/D cups for low, moderate, and high-impact activities and have a stylish appeal. 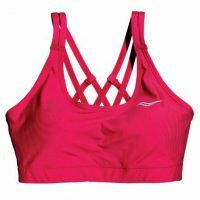 But the Saucony Impulse Bra Top is highly functional with fun design details. It fits tightly, so a wearer who doesn’t like a lot of compression may find the bra too constricting. 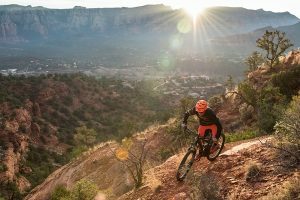 Mobility and comfort are at the forefront with the Salomon Medium Impact Bra with a simple and stretchy design. For C/D cups the bra is only supportive enough for moderate impact, as the name of the piece suggests. 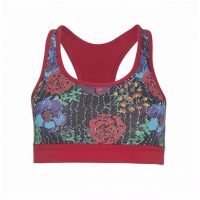 It’s not always easy to find a sports bra that will support you with comfort and style. Since each body is unique, not every sports bra will work for every athlete. 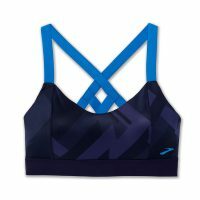 Runners with smaller cup sizes may not have to spend as much money on their sports bra, since they can choose one with less fit, mobility and support technology, while athletes with larger cup sizes may have to spend more money on top-of-the line running bras that will hold them in place. 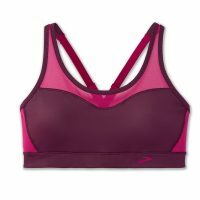 Some sports bras are designed with cup sizing, while some have more general small, medium and large distinctions. To get that “perfect” fit, athletes should be sized in a bra store or follow a guide to size themselves, and then purchase a sports bra with specific measurements. 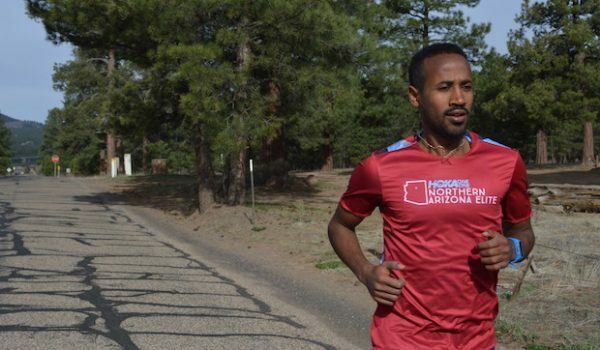 Finding the right running bra is hard. 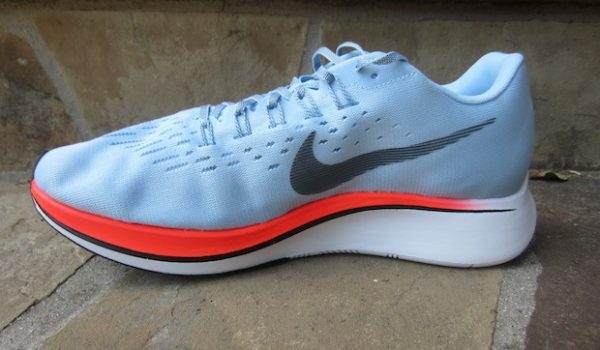 Comfort, support and style all contribute as make-or-break design factors. Some of the bras were considered running-specific, and some of them were for more all-around activity. 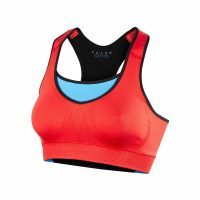 It was clear that the companies that make run-specific sports bras excelled at it for all cup sizes, even in comparison to the companies that make bras that are specifically for larger cup sizes. 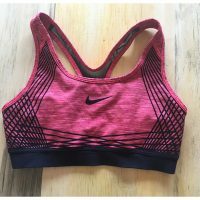 It’s pretty easy to know immediately whether a bra will be supportive enough for running – just jog up and down the hall in your house a couple times and you’ll certainly know if you want to go out for a run wearing that bra. While simple and lightweight, the Control Maximum Support Top from Falke combines the perfect balance of comfort and compression. This bra is the highest price point of those in this test, retailing for $82. 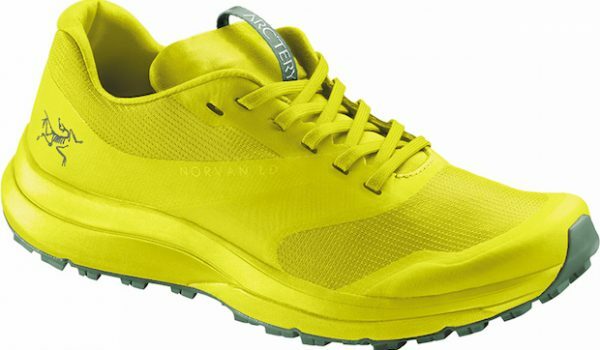 It’s the stretch that Falke put into the fabric of the Control Maximum Support Top that really makes it stand out. 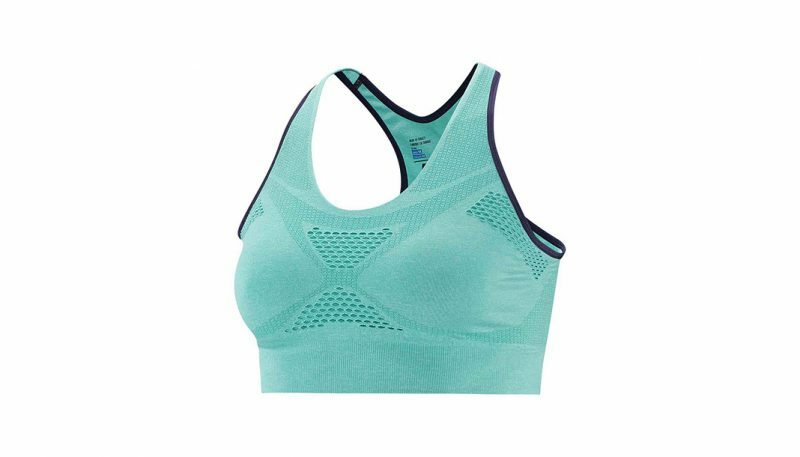 It’s easy to move in this bra, and it keeps the chest compressed, whether you’re in a yoga class or running a half marathon. The New Balance Power Bra also performed well in the test, standing out with its adjustable hardware, a one-inch wide non-slip adjustable strap, and molded pads for shaping. More average sports bras for C/D cup running in this test were the Lululemon Speed Up Bra and the Oiselle Brilliance Bra. Both bras were not great for C/D cup running, but each had unique qualities in style and fit and will provide A/B cups great support in high impact activities. 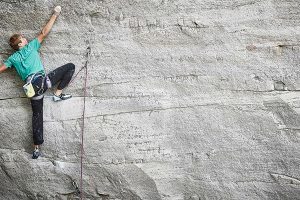 There are a number of ways bra designers try to make athletic bras comfortable and this can come at the sacrifice of other criteria we test for like support, breathability, or even design. Key elements of the Control Maximum Support Top from Falke are the comfort of the fit and the fabric. 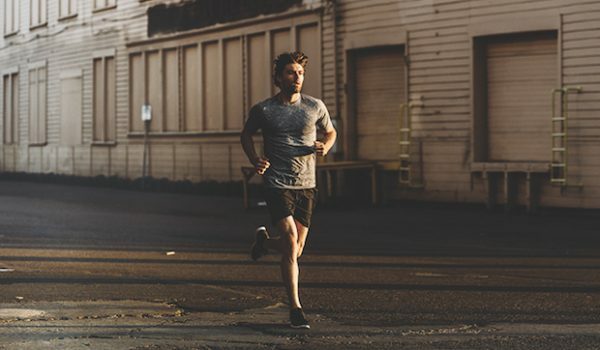 The highly-elastic, quick-drying fabric holds the chest securely while still supporting full-body movement. 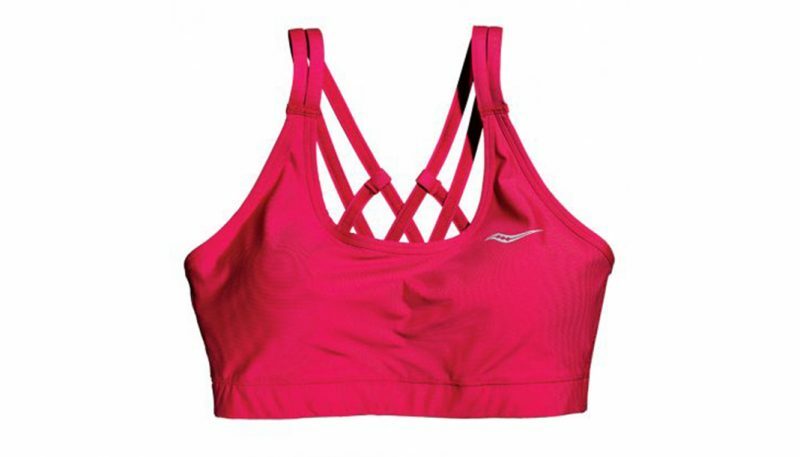 We found we could wear this bra on a run, and also while hanging out in comfortable clothes at home. 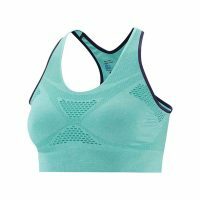 Designed for comfort and support in mind, the Power Bra from New Balance has a gel-infused strap lining for specifically for comfort, as well as a powermesh lining that offers sweat-wicking and breathability more intensive and warmer workouts. 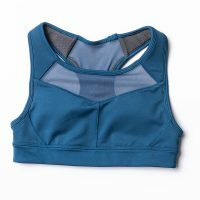 The sides on the Oiselle Brilliance Bra don’t fully cover larger chests, so exposure and chafing can occur during a lot of movement. Higher mesh coverage on the front of the bra can offer that extra front hold when desired. 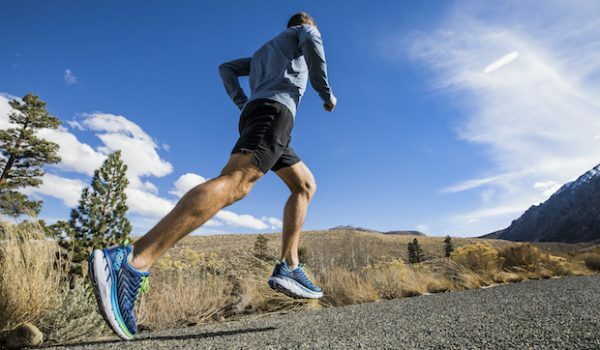 It’s the stretch that Falke put into the fabric of the Control Maximum Support Top that really makes it stand out. It’s easy to move in this bra, whether in a yoga class or running a half marathon. 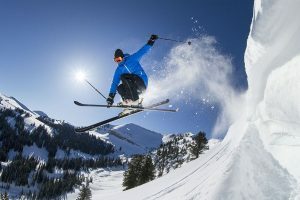 The band wraps around a 36-inch ribcage snugly and the pre-formed cups hold all sizes securely, all while still allowing freedom of movement for the rest of the body that can range from gentle to vigorous. 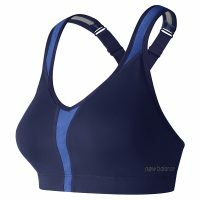 With specially designed padded cups, the New Balance Power Bra gives substantial support and shaping to larger cup sizes. It uses encapsulation and compression support technology, so each internal cup supports each breast individually while the outside shell maintains the appropriate compression. 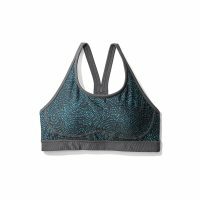 The cup design of the Lululemon Speed Up Bra will offer substantial support for size B and C cups, but size D will find a lack of support with high-intensity activities like running and jumping. The bra has a lower V-cut front, offering less coverage in the center of the chest, especially for larger cup sizes. 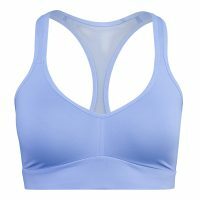 Mesh on the front and back of the Oiselle Brilliance Bra make it very breathable even with thicker straps and higher coverage on the chest. An additional airway in the back creates more ventilation, and the fabric on the bra is sweat-wicking which kept us cool while running. 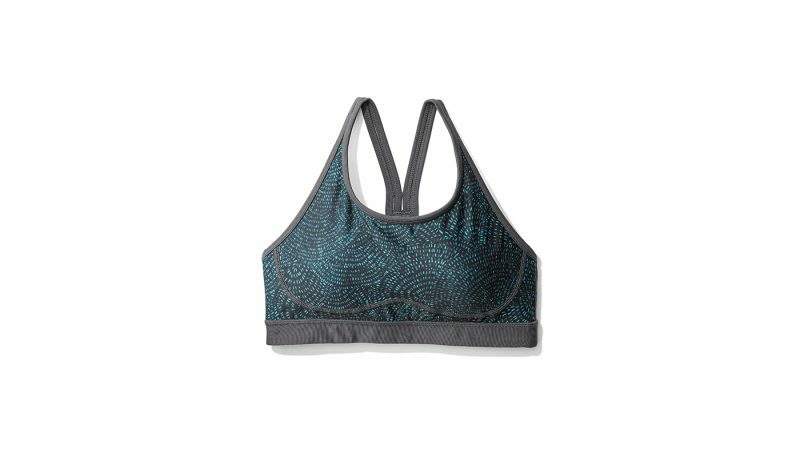 The Luxtreme fabric created by Lululemon and used for the Speed Up Bra is sweat-wicking, and in general offers decent breathability. 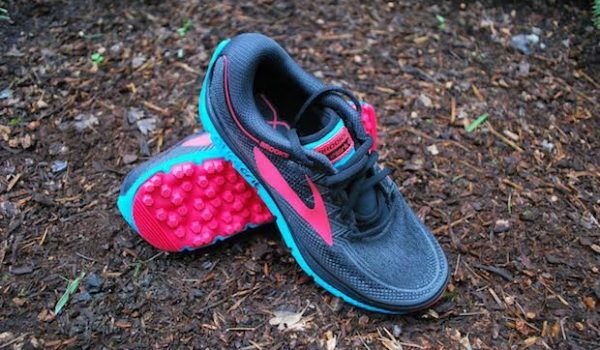 The molded foam cups do collect more sweat, but the bra has a lot of airflow in the back, including a ventilated back razorback strap. A simple and smart design makes the Control Maximum Support Top from Falke easy to put on and take off. The V-cut in the chest creates an attractive aesthetic, while a strip of fabric behind provides for more support and coverage. The racerback shoulder straps go seamlessly under workout tanks and t-shirts. 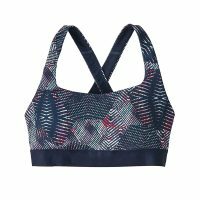 The aesthetic of Lululemon’s Speed Up Bra is one of its most enticing qualities, with flattering molded foam cups that offer high support and a natural shape for the chest. 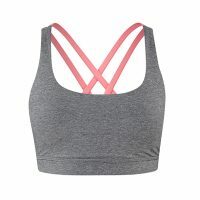 The mesh fabric on the racer-back strap not only offers ventilation, but also adds an extra stylish flare to the overall look of the bra on its own and with athletic tank tops. 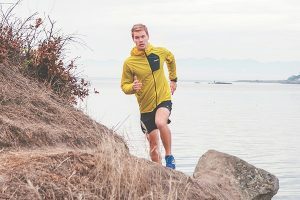 There are multiple elements that can make or break a running bra, so for our tests we compare the following categories: Comfort, Fit/Mobility, Support, Breathability and Style/Design. Comfort looks at the fabric of the bra and how it feels next to the skin. We also note the strap size, where straps sit on the shoulders and cross on the upper back, how the bra’s seams interact on the skin, garment adjustability, and generally how the bra feels on the body. How a bra fits is very important, and equally important is also how the bra maintains that fit while in motion. The testers notice how a bra sits on and around the chest and whether the fit is streamlined. Once the testers start moving, they feel if the bra shifts or stays in place. 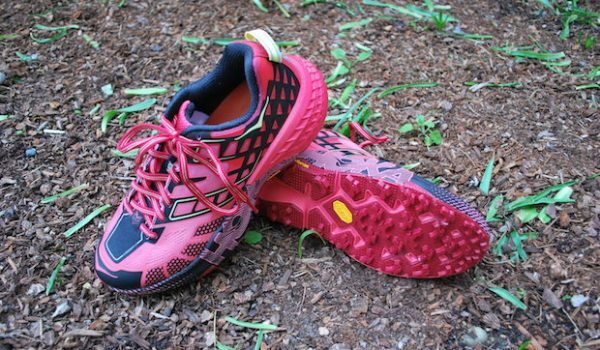 Arguably the most important element in a running bra is support. 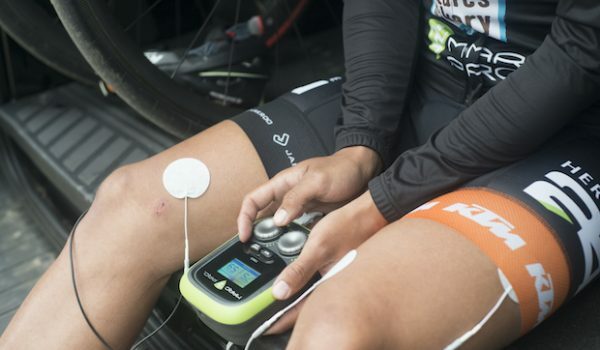 The testers evaluate the bra’s compression on the chest and if it is effective during different levels of impact and activity. 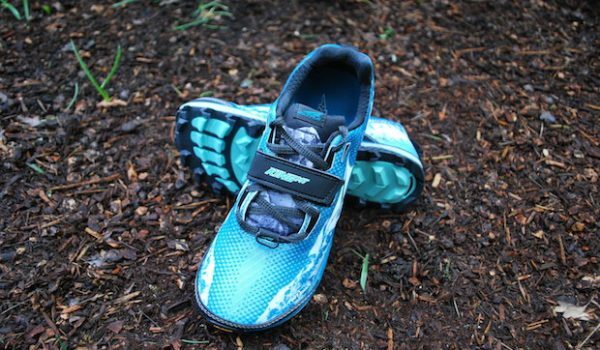 If support is too tight, that is not comfortable and/or restricting breathing, then it’s not sustainable to wear for longer workouts. 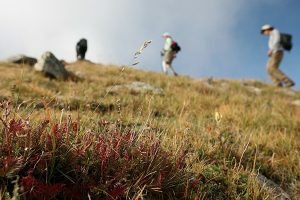 A bra’s fabric has a lot to do with its breathability, and this will determine the comfort of a runner on long sessions, especially in hot and humid weather. Testers note the weight of the bra and the rate the fabric dries once it’s damp or wet. Style and design of the bra brings together technical elements with aesthetic. Testers observe if the bra is flattering, as well as style and design elements that make it especially unique. 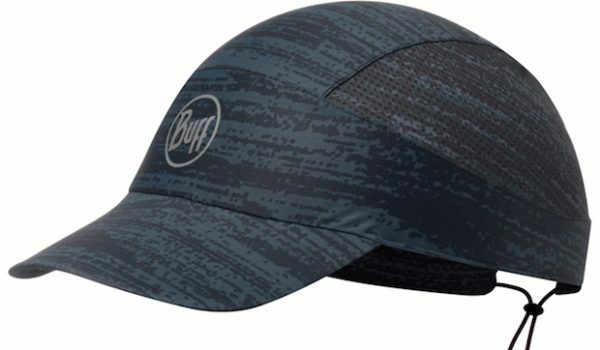 Buff’s New Run Cap Weighs just 1 oz.